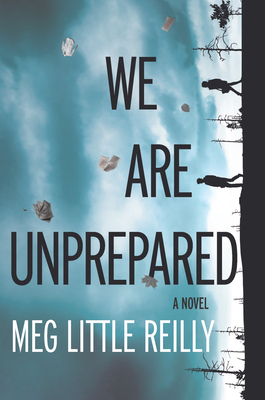 Meg Little Reilly places a young couple in harm's way--both literally and emotionally--as they face a cataclysmic storm that threatens to decimate their Vermont town, and the Eastern Seaboard in her penetrating debut novel, WE ARE UNPREPARED.Ash and Pia move from hipster Brooklyn to rustic Vermont in search of a more authentic life. But just months after settling in, the forecast of a superstorm disrupts their dream. Fear of an impending disaster splits their tight-knit community and exposes the cracks in their marriage. Where Isole was once a place of old farm families, rednecks and transplants, it now divides into paranoid preppers, religious fanatics and government tools, each at odds about what course to take. WE ARE UNPREPARED is an emotional journey, a terrifying glimpse into the human costs of our changing earth and, ultimately, a cautionary tale of survival and the human.